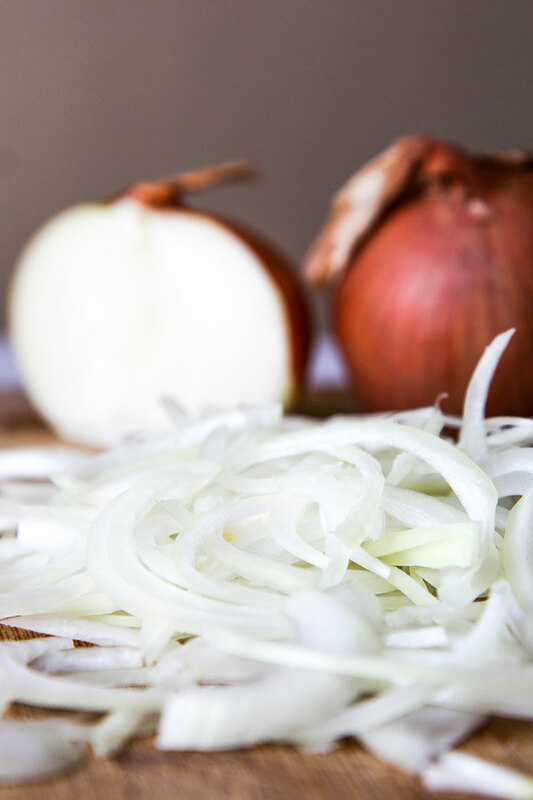 Peel and slice finely the onions. Pour the clarified butter (ghee) into a bottom thickened heavy pot big enough to cook the soup. Place the pot over medium heat. When the butter is completely melted, pour the onions. Cook the onions stirring occasionally until are caramelized (about 1 hour). Meanwhile the onions are caramelizing, finely slice the cabbage and dice the mushrooms and peeled potatoes. 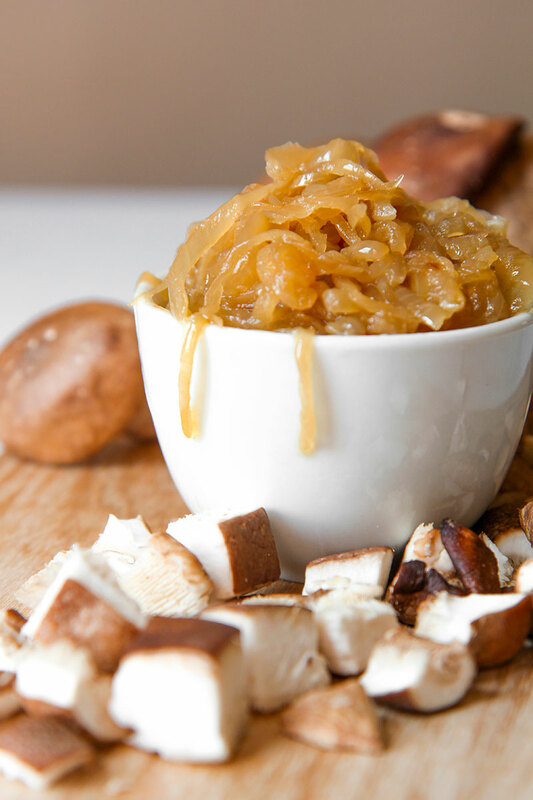 When the onions are well caramelized, add a few tbsp of stock and deglaze the fond. Add the mushrooms and potatoes. Stir fry the vegetables 10 minutes, then add the cabbage. Continue to cook 10 minute more over medium/high heat, stirring frequently. Pour all the vegetable stock. 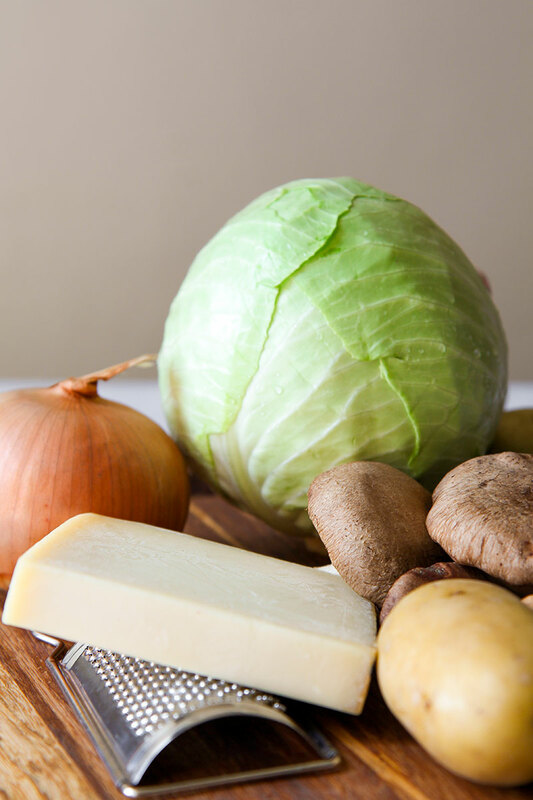 When the cabbage soup is starting simmering, set the heat at minimum, cover the pot and cook until cabbage is well cooked. Slice the bread and broil until light toasted. Grate the Gruyere. 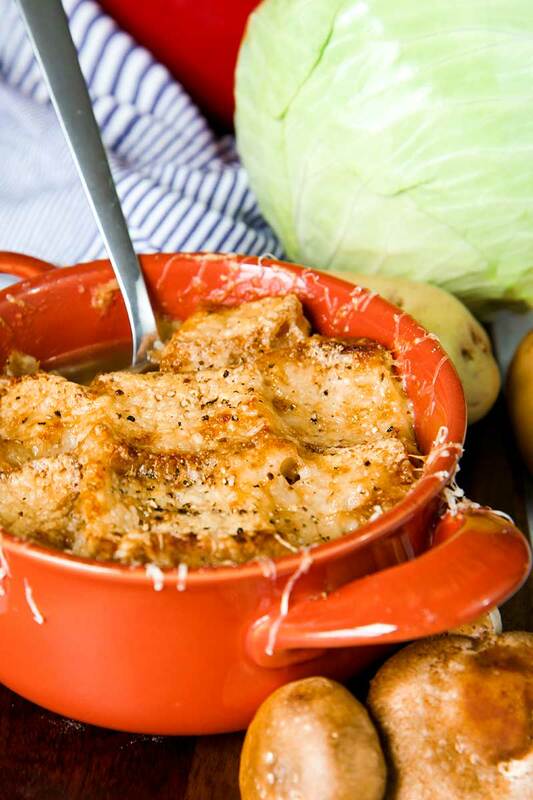 Pour the cabbage soup into oven-resistant bowls. Add 1 tbsp of Gruyere and a dash of black pepper each bowl and stir well. 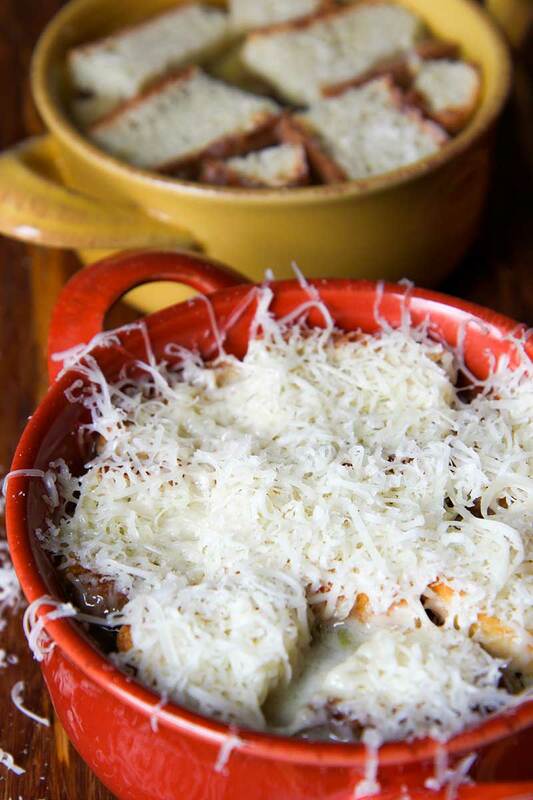 Cover the soup with toasted bread, and pour a generous portion of cheese and black pepper over the bread. Finally, broil the cabbage soup until the cheese is golden brown and well melted. Serve immediately. 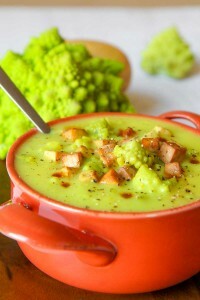 If you prefer, it’s possible prepare the cabbage soup in advance and broil with bread and cheese just before serving.